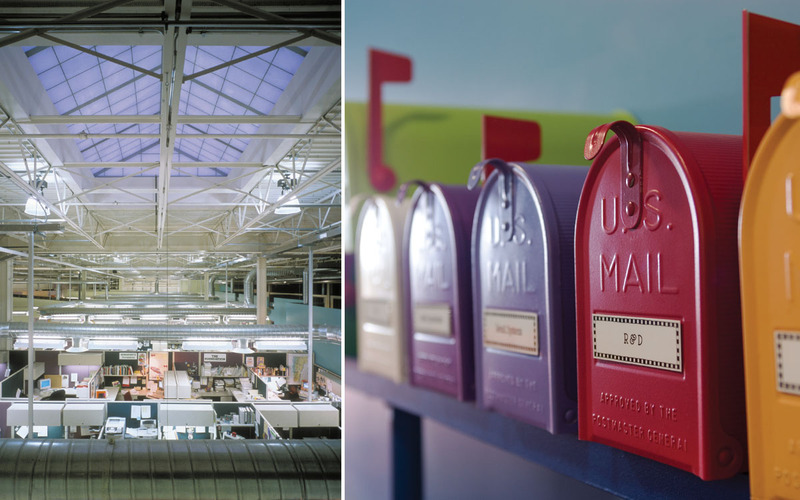 TruexCullins led the adaptive re-use of a former manufacturing facility into the corporate headquarters for Ben & Jerry’s Homemade, the beloved Vermont grown company that is now a multi-national success story. The 70,000 sq.ft. project includes administrative offices, warehousing, research and development and a model scoop shop. 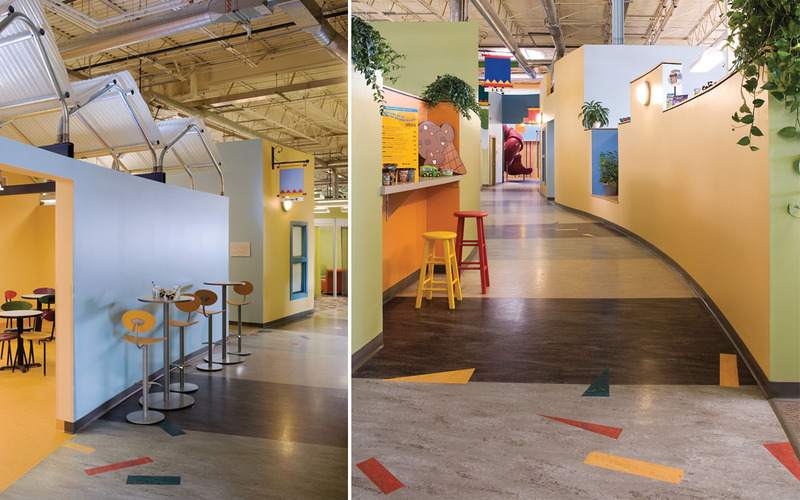 Ten years later, Ben and Jerry’s hired TruexCullins again to re-envision the public arrival sequence, R&D labs and staff meeting areas. Visitors are now welcomed into a brightly lit, dynamic lobby that is representative of Ben & Jerry’s culture. A curved stair leads to the informal Tree House meeting area, where a curved slide returns to ground level. Meeting areas benefit from improved access to natural light and ventilation, and new paint schemes and furniture systems are consistent with the Ben & Jerry’s brand. 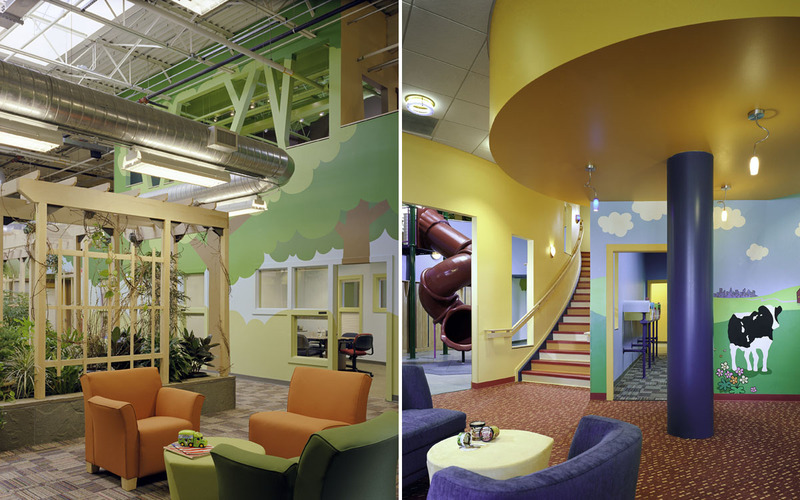 This lively workplace has improved employee morale by providing a “fun and funky” environment.